Move cursor over image for next or previous image. 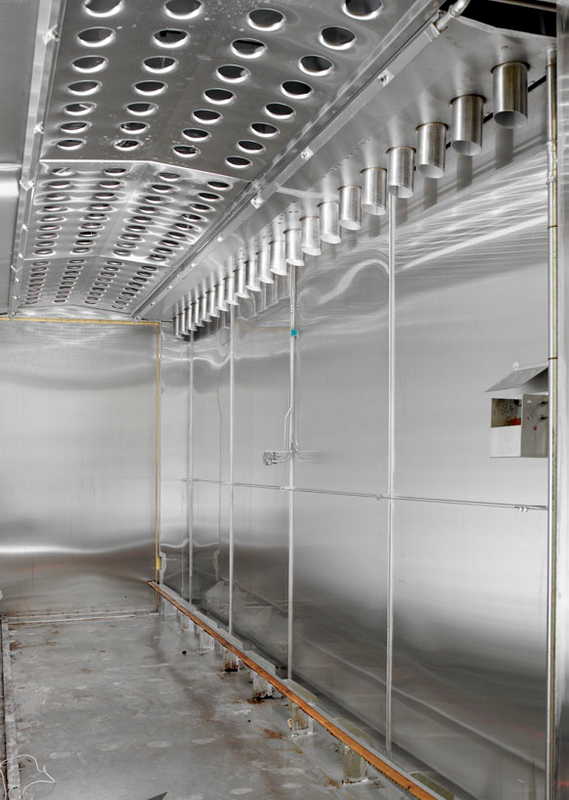 The smoke chamber is suited for drying, smoking and cooking processed meat products, fish and poultry within a temperature ranging between 15-90°C. 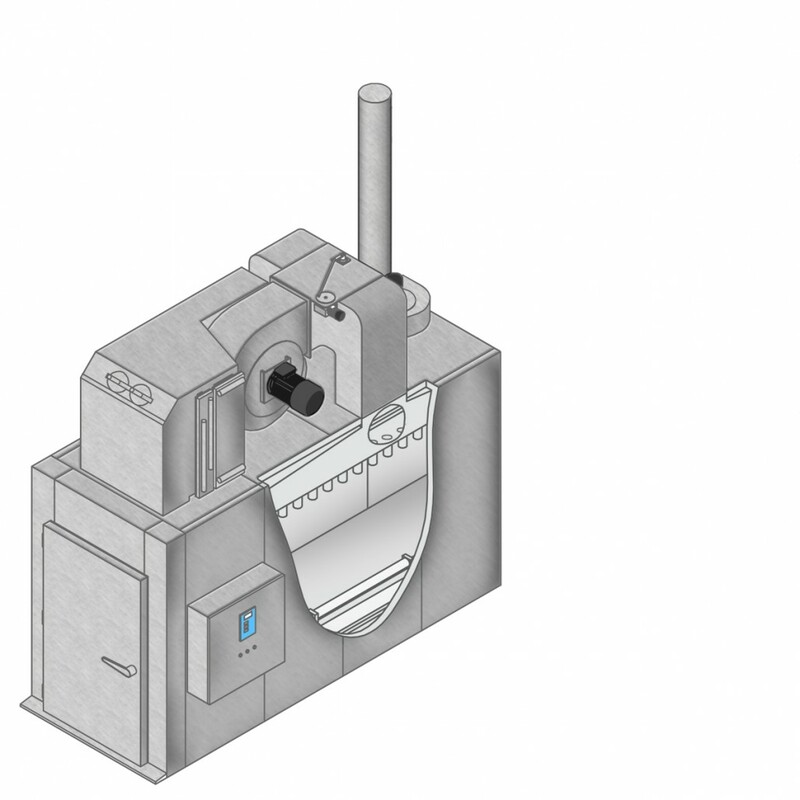 The construction allows for processing of many different types of products in a cost efficient way with optimal results. The unique air circulation guarantees a consistent result for all products. The unique alternating flap system continuously changes the air circulation across all the products. This ensures a completely even and dry smoke process for all the products and ensures an even color and weight reduction throughout the entire chamber. The forced air circulation is produced by a heavy duty centrifugal fan which is controlled by a frequency converter for exact air flow. This allows for a very exact and correct air speed for each individual product. As we both build and construct the machinery we can adjust the equipment according to our customers needs. Both construction and design can be tailored to suit their products and production. Components of the highest quality and use of the latest technology guarantees the equipment´s reliability and durability. 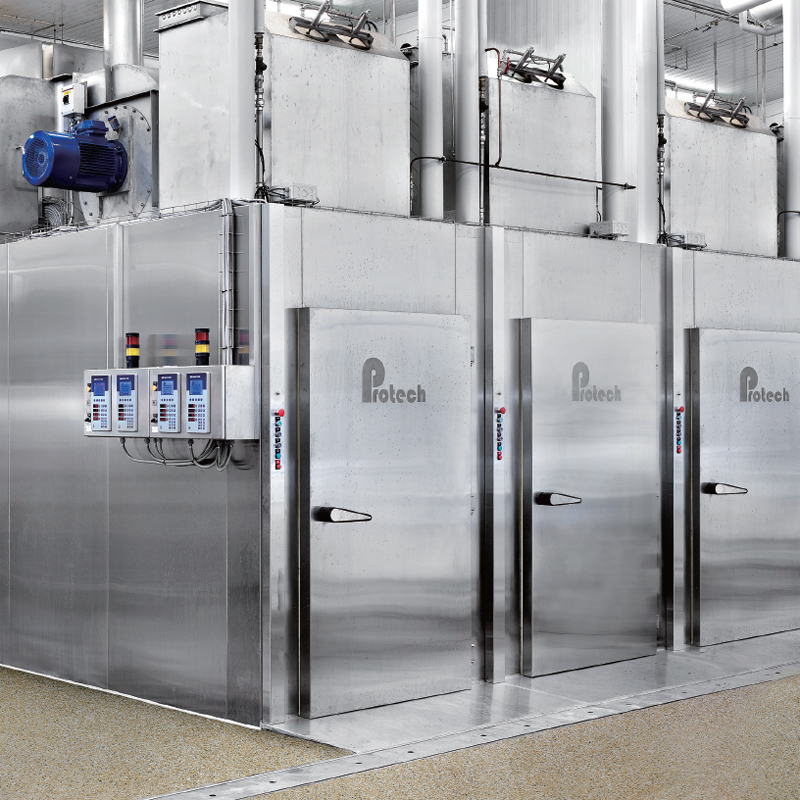 All manufacturing and construction take place in a modern environment designed for food industry equipment. 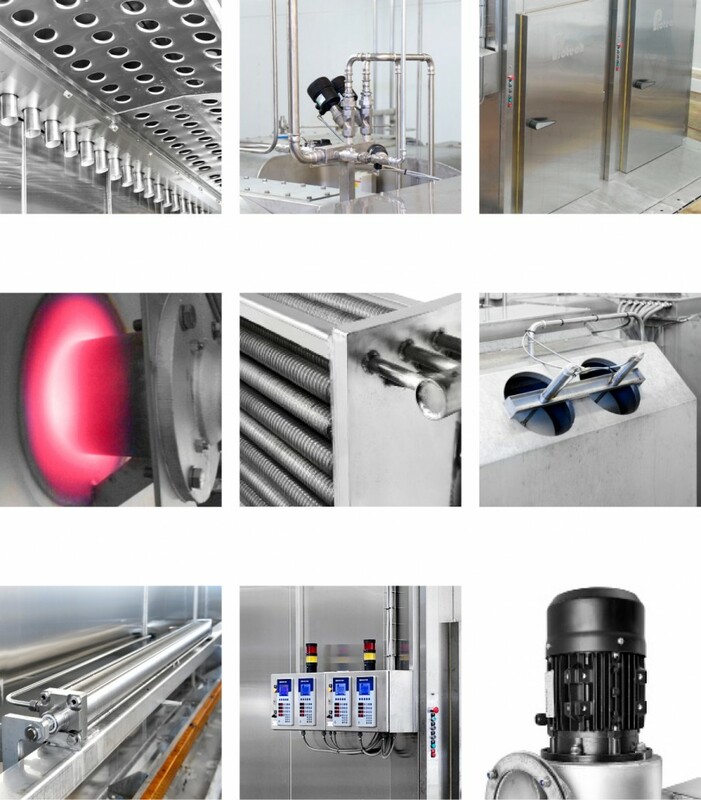 Download product facts about Smoke chamber.